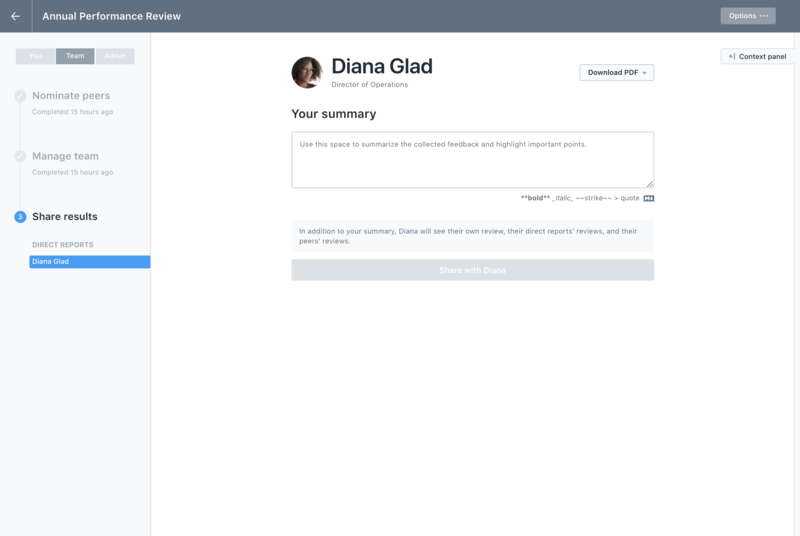 When setting up a review cycle, you will have the option to choose how you want the manager's to review their direct reports. 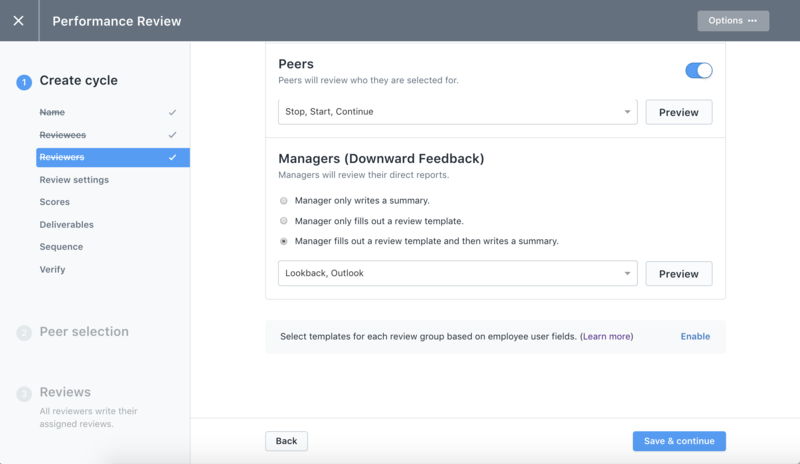 In the "Reviewers" section, you will see "Managers (Downward Feedback)". This is where you can determine what the managers will do in the review cycle. Manager only writes a summary - Managers get the opportunity to read through all the reviews written from and/or about their direct reports and provide final summary remarks before sharing the review packet with their direct report. Manager only fills out a review template - Managers will fill out a specific review template. They will still review all the reviews written from and/or about their direct reports before sharing the review packet with their direct report. They will not have the ability to write any further summary remarks before sharing the packet. Manager fills out a review template and then writes a summary - Managers fills out a review template during the review cycle and gets the opportunity to write any final summary remarks prior to sharing the review packet with their direct report.